When the news about Donald Trump’s election victory broke, I was in Shanghai for a conference on Sino-German relations. The conference agenda was at once scrapped to make way for discussions and questions about his unexpected win and what it would mean for the future of China, Germany, and their relationships with the United States. A mix of emotions permeates the ranks of America watchers in China. On one hand, the Obama administration’s “Pivot to Asia,” its constant criticism on China’s activities in the South China Sea, as well as the Trans-Pacific Partnership (TPP) agreement, which deliberately excluded China, have greatly upset the Chinese government. All the talk from Washington of democratic principles and moral values for U.S. “meddling” in Asia-Pacific agitated Beijing. The election of Donald Trump, who ran as an outsider unbound by political rituals and scripts and an expert on how to make a deal, aroused hope in China that the next U.S. administration might be willing to renegotiate the global order of power, and even its framework and vital institutions, as an amenable businessman, not a resolute crusader. On the other hand, in the months since the election, Trump’s barrage against China’s alleged unfair trade tactics, his ill-informed accusation of the regime’s currency manipulation, and his precarious attitude toward the long-standing U.S. policy on Taiwan greatly alarmed China’s political and business elites. Trump’s attempt to make China an effigy of America’s economic problems already sparked fear of trade wars. 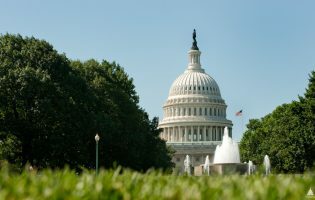 Make no mistake, if the new administration imposes heavy tariffs on Chinese imports, the Chinese government will not hesitate to hit back with countervailing measures. The struggle would severely damage American companies in China, injure multinational corporations, and wreck the global supply chain. Trump’s promise to bring back American jobs by keeping out cheaper Chinese imports also stands in contrast with his enthusiastic reception of Jack Ma, CEO of Alibaba and the face of a new wave of Chinese investment in the United States. He cannot have it both ways. If the president-elect’s criticism about China’s economic policy continues to be grounded in misinformation and prejudice, such as the unfounded accusation of its sustained currency devaluation, rather than facts and careful analysis, calls to China to further open up its market and improve conditions of reciprocity for foreign companies and investment would fall on deaf ears. Most importantly, the new president would be well-advised to not question the long-standing One-China policy in place since the normalization of relations between the two countries. To use Taiwan as a bargaining chip in trade or security talks with China is presumptuous, if not precarious. Beijing will not tolerate any “suggestions” about its sovereign integrity. 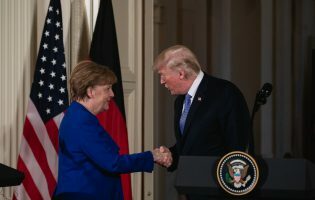 Understandably, Germany shares many of the concerns about the uncertain path of the Sino-U.S. relationship under the incoming U.S. administration. Sustaining and expanding German economic interests in China and the Asia-Pacific region in general requires a stable Sino-U.S. relationship based on the principle of cooperation rather than mutual antagonization. However, despite its primarily economic agenda and lack of clearly defined strategic interests in the Asia-Pacific region, Germany is not a junior partner in this delicate triangular relationship. The recent waves of populist, conservative, and anti-globalization movement sweeping through Europe and the United Sates not only changed the domestic political landscape of many countries, but also deeply challenged their belief and commitment to the principles, values, and institutions that have served to safeguard and promote the liberal, democratic world order since the end of World War II. Against this background, Germany now involuntarily leads the efforts in Europe and beyond to defend and maintain these principles, values, and institutions that collectively shaped the identity and formed the purpose of Western democracies. Trump’s transactional policy outlook and his unbridled negotiation tactics are not only deeply concerning for Sino-U.S. relations; they could undermine the belief in global governance and the values it seeks to promote. Conflicting messages on U.S. commitment in regional stability in the South China Sea region alarm China and U.S. allies alike. Simple criticism on Chinese investment abroad does not erase the need for development or substitute for standards. In an era when China assumes wider influence and demands heavier weight in global governance through its grand strategies and institutions old and new, Germany’s unwavering commitment to the transatlantic relationship, one that is built on mutual convictions and trust, and to the liberal, democratic norms and values should serve as a constant reminder and example to the incoming administration to engage China on multiple platforms, including the AIIB, to become a responsible stake holder in the international system we seek to preserve. 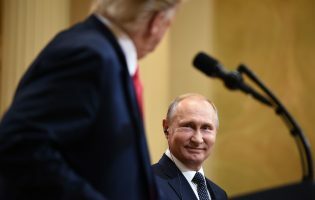 The future of U.S. leadership and the preservation of a liberal world order depend on the administration’s determination to not do what is politically expedient, but what is morally right. As we edge closer toward the inauguration of the 45th U.S. president, many are anxious about the trajectory of Sino-U.S. relations. Indeed, there will be many challenges, ranging from bilateral trade and investment to maritime and cyber security, stemming from both Chinese and U.S. policy outlooks as well as their perceptions about each other. When Germans head to the poll this year, we should hope that Germany continues to be a rock of liberal, democratic values and that it would urge the incoming administration to pursue a responsible and effective China policy based on shared values and norms on the solid backbone of the transatlantic relationship. 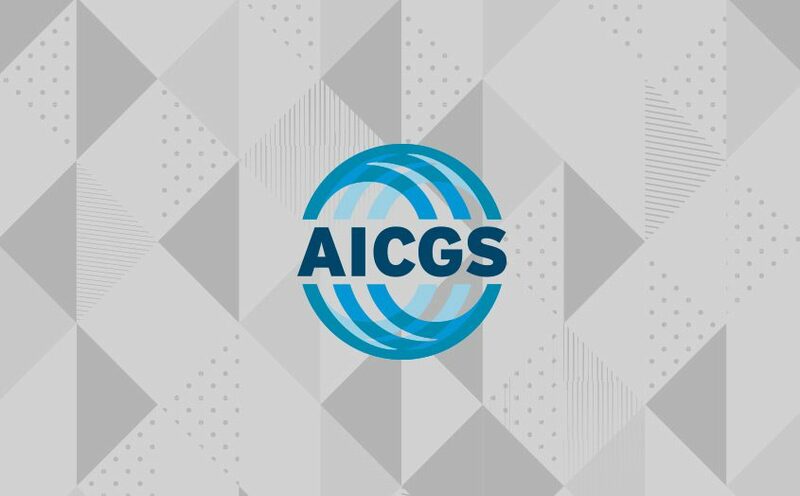 Yixiang Xu is the Fellow for the New Research Initiative at AICGS, working on the Institute’s China-Germany-U.S. triangular relationship initiative. He also researches international economic and trade issues. Previously, he worked at AICGS as a research assistant. 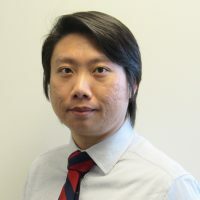 Mr. Xu received his MA in International Political Economy from The Josef Korbel School of International Studies at The University of Denver and his BA in Linguistics and Classics from The University of Pittsburgh.